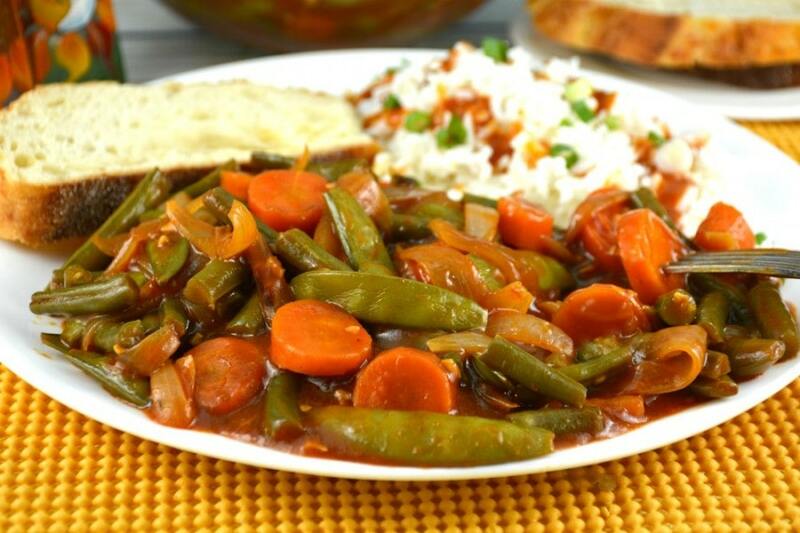 This Fabulous Green Bean Stir-Fry is a great vegetable side that we have served with anything and everything! 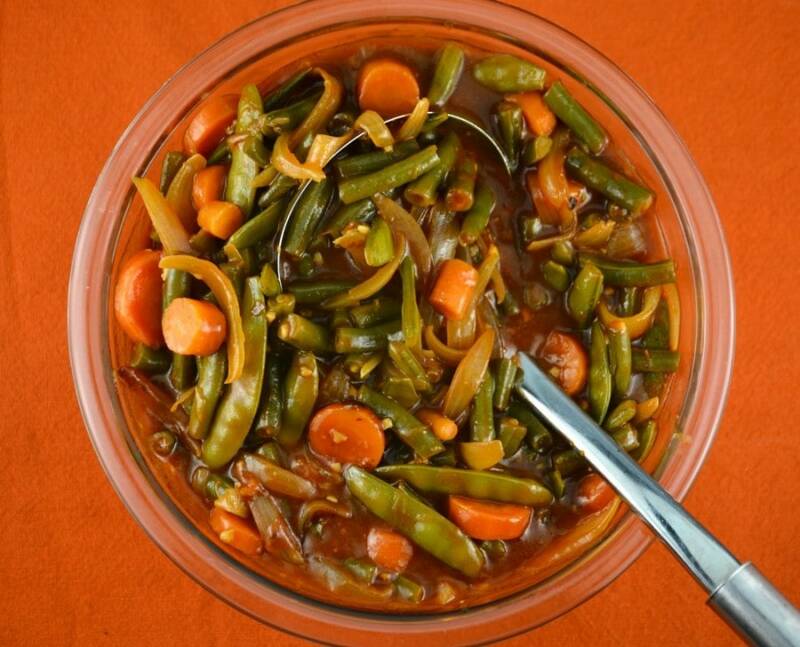 Green beans, carrots, sugar snap peas and onions mixed together in a light, flavorful sauce! Perfect for any occasion! 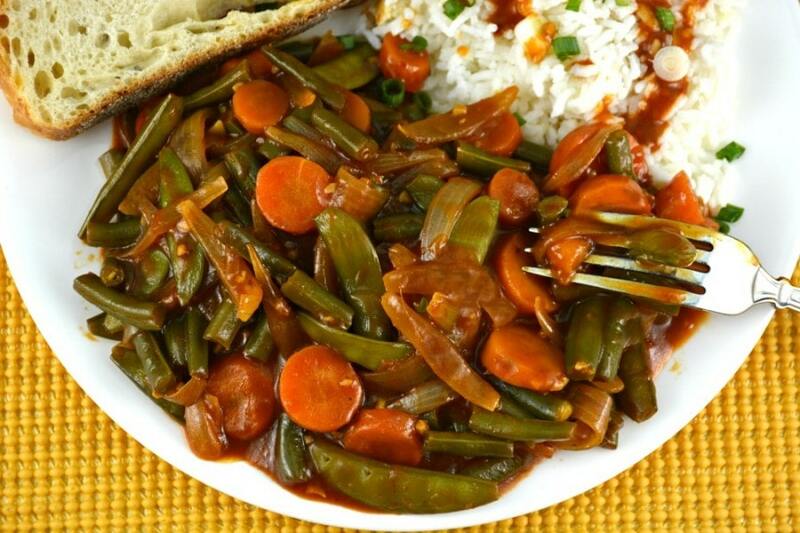 We get so many green beans from our garden and this is definitely a great way to use them! The sauce is different but divine! 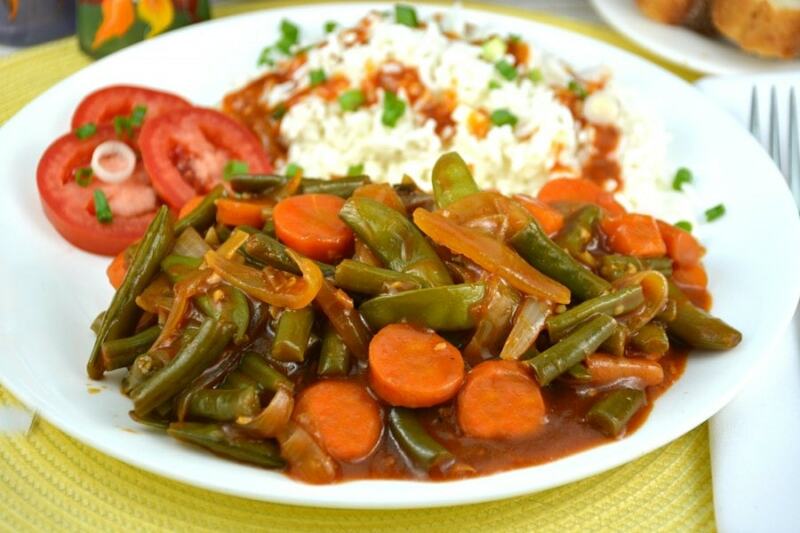 Over the years I have added different vegetables and I love this combination the best! 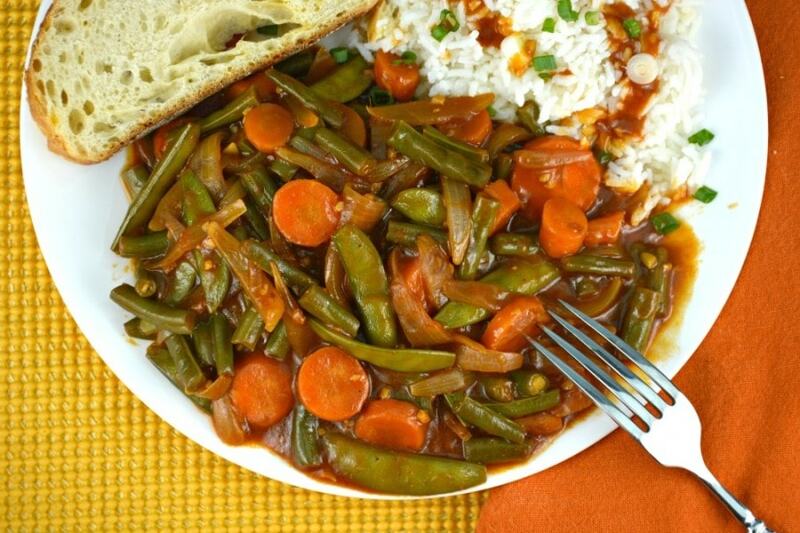 I can’t wait to hear which vegetables you use to make this Fabulous Green Bean Stir-Fry! I am hoping you will give me some suggestions that I haven’t tried! Most of the time I serve rice with this Fabulous Green Bean Stir-Fry just so I can drizzle the sauce from this dish all over it! You don’t have to, I just highly recommend you trying it! We also have some other recipes you might be interested in trying. I just love them all, in their own special way! Take a peek below at some of them. You just never know when you will find a keeper! This is a great vegetable side that goes with anything and everything! I have prepared it while my husband barbecues a steak or some chicken and for us, is a nice change from salad. So excited to show you this video. 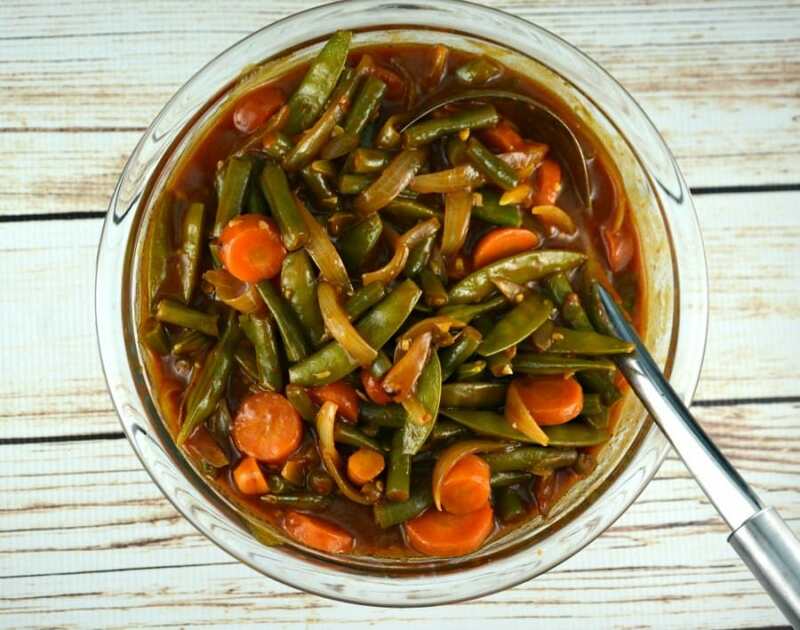 Hope you give this recipe a try and enjoy this vegetable side as much as we do! In a bowl combine hoisin sauce, soy sauce, broth, and cornstarch. Set aside. In a large skillet, heat oil over medium high heat until it shimmers or when flicking a drop of water in it dances. Add garlic, onions, ginger and red pepper flakes. Stir. Next, add tomato paste. Stir. Add broth mixture, green beans, carrots and snap peas. Stir fry for 6 to 8 minutes, uncovered. Serve immediately.